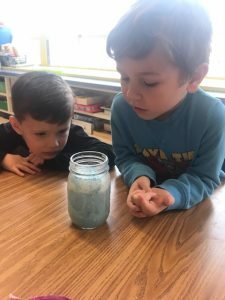 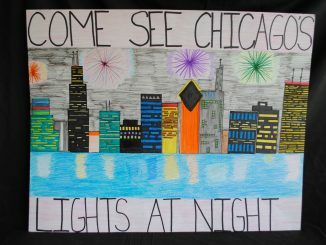 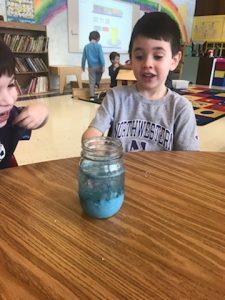 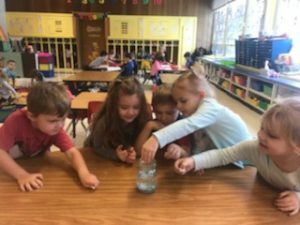 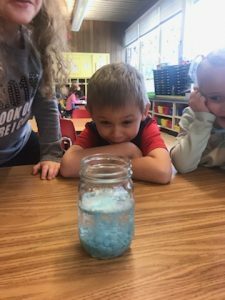 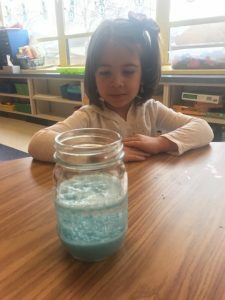 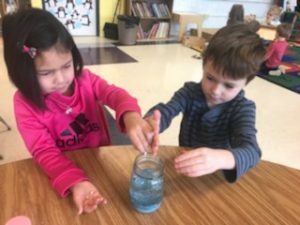 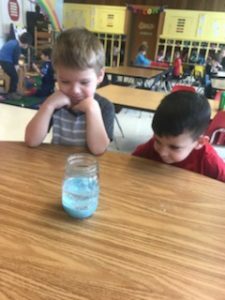 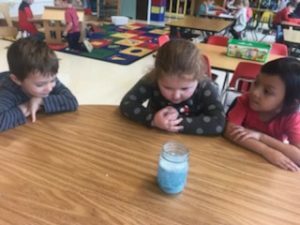 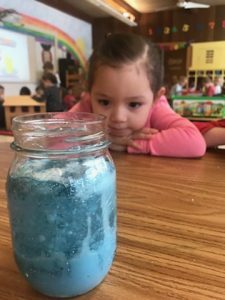 With the expected snowstorm coming to Chicago and with Mrs. Dougherty’s class ending their Winter Wonderland theme this week, we decided to make our own snowstorm, but in a jar! 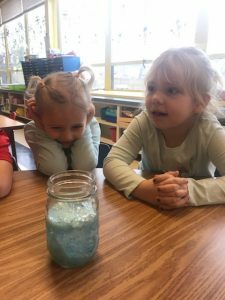 We added oil, water, glitter, and white paint to a jar. 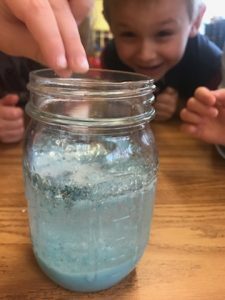 Then, in order to make it into a snowstorm we dropped crushed up alka seltzer tablets in the water and observed the storm take place! 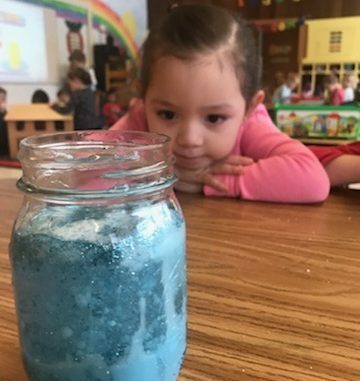 We watched as all the water rushed to the top of the jar in a cloud formation and then the fun part, it started to snow!